No. 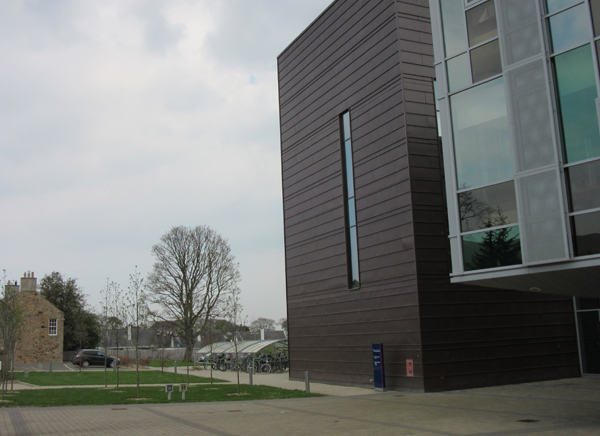 1 Tanfield House is an attractive, ultra-modern office facility and, amongst others, is home to two businesses operating in the e-commerce sector and active in a globally connected ethernet world that mandates business continuity and safeguards for vital electronic equipment. Craneware and Dell are located on the 2nd and 1st floor levels respectively and gaining access to these offices with fire suppression system equipment played a part in the decision making process. 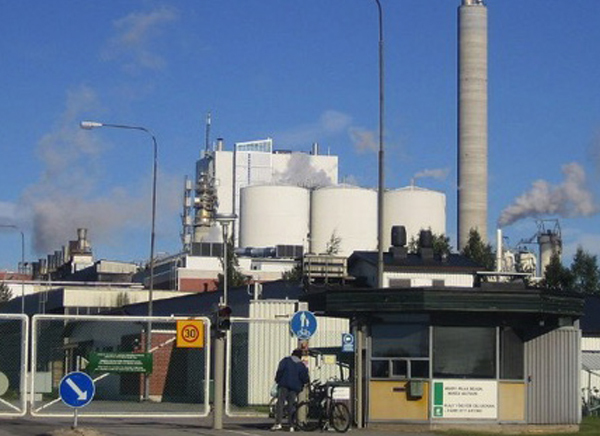 FM-200® was ultimately chosen by both companies . FM-200® would offer benefits such as speed of suppression, cylinder footprint and safety. Stored as a liquid rather than a gas, it requires less storage containers than inert gas systems and moving containers during periodic testing was a major consideration. Where business continuity is important in electronic environments, gaseous agents are usually the preferred choice. 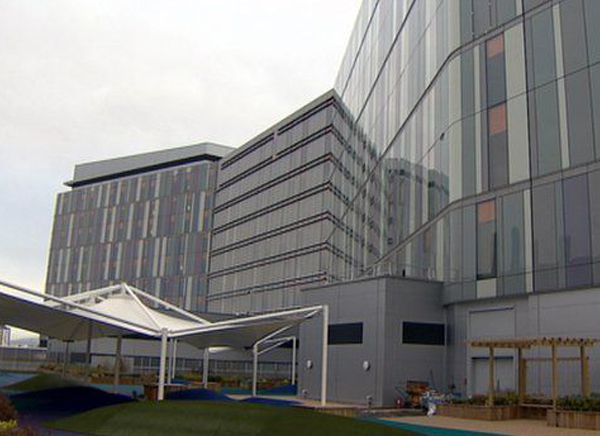 A new recycling and renewable energy centre has changed the skyline along Polmadie Road in the South Side of Glasgow. This facility will have the capacity to recycle 200,000 tonnes of domestic waste annually and replaces a well established waste depot with its landmark towering chimneys. 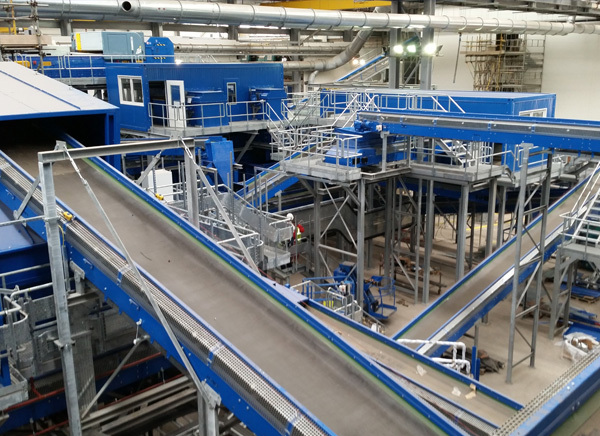 The new plant will divert residual waste whilst releasing recyclable resources from household waste and producing enough energy to power 22,000 households in the city. 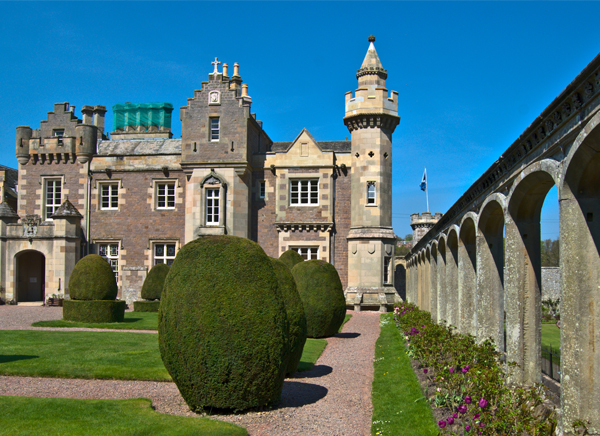 The complex processes and risk factors required a comprehensive and integrated range of fire protection measures. Vipond Fire have provided a wide range of system solutions from fire sprinklers at roof level fed from a 1.25 million water storage tank, water monitors, infrared flame detectors and gaseous fire suppression systems. These solutions are tailored to the industrial processes, starting where fuel arrives at Waste Reception in its raw condition and enters the recyclable material process. 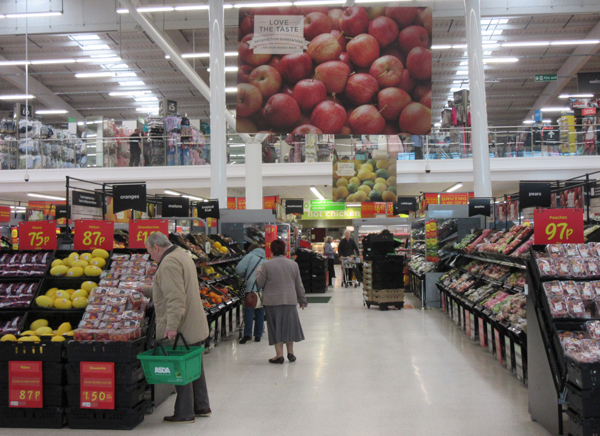 Asda opened its new £4 million store in Telford in February 2014. The shop had many areas which require sprinkler protection. Other than the sales and warehouse roof areas, there were additional areas such as canopies, racks, Home Shopping, ducts and the underground car park. The programming of an installation is always an important factor in a project’s success and this was carefully coordinated by Vipond. Vipond proposed a fixed automatic sprinkler system, designed in accordance with BS EN12845. 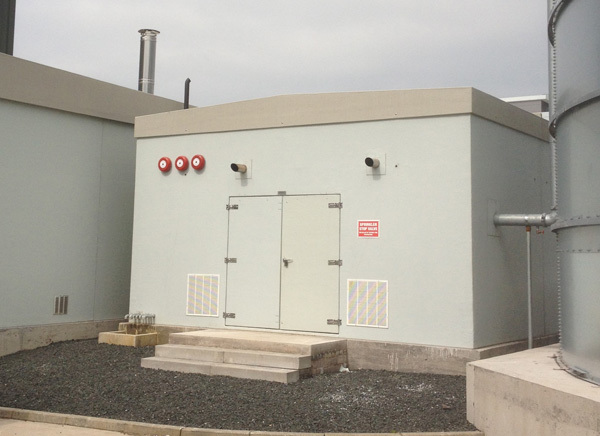 The water supplies were provided by a 300m3 storage tank of galvanised cylindrical construction with butyl liner. Hazard classification determined water discharge densities throughout. The fire classifications varied across the premises ranging from ordinary hazard class 2 (OH2) in the car park, OH3 in the sales office and High Hazard in the warehouse areas. A total of 1,628 sprinkler heads were fitted throughout the premises with almost a half of these installed in the underground car park. All sprinklers in public areas were anti vandal. The sprinklers are fed from a network of steel pipe to BS 1387/3601. Vipond’s policy is to fabricate pipework at its LPCB certificated workshop. Vipond’s systems design department closely tracked those requirements during the design process to provide the solutions demanded by the client. The scope of works extended to a wide range of fire suppression systems throughout including an automatic fire sprinkler system in accordance with BS EN12845, gaseous fire extinguishing systems to BS EN15004, water spray systems and the provision of water cannon to protect deep bunkers. It was decided that at each floor level, the main pipe feed would be split into two – one to serve the flats and the other to serve the common areas. 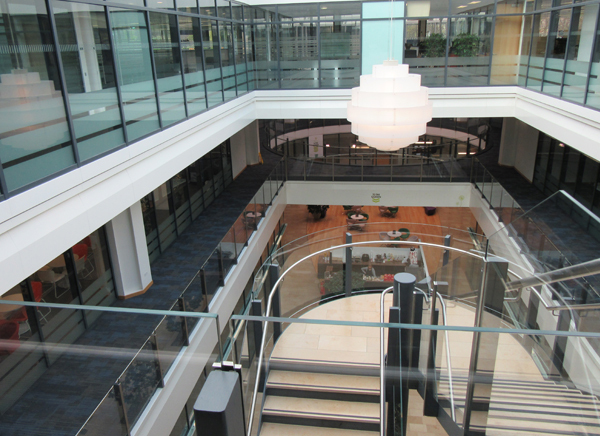 Lowered suspended ceilings were provided to conceal services such as the fire sprinkler pipework and concealed sprinkler heads that were fitted. Careful planning of pipe routes within the flats was a key consideration and pipework in each apartment was mounted tightly along the hallway and kitchen walls. This was painted to blend with the surrounding decor. 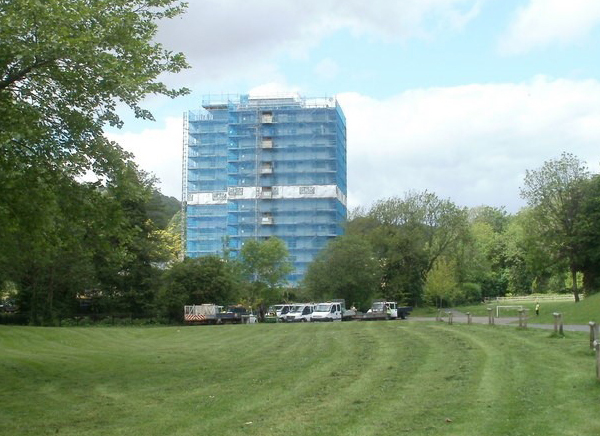 Vipond have extensive experience of working in many building types and providing solutions that are appealing to customers. 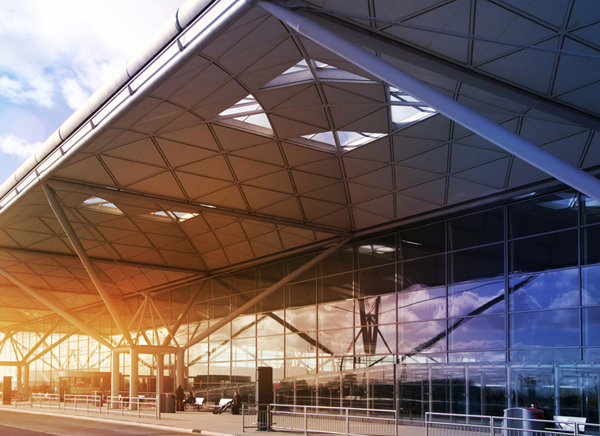 During 2014/15 the airside retail complex at London’s third busiest airport, Stansted, was to be completely refurbished. This involved a comprehensive strip-out and reconfiguring of the internal building fabric including the building services. The life safety fire sprinkler system was a vital part of these services and this too had to be stripped back to the main supply pipe downstream of the control valves. 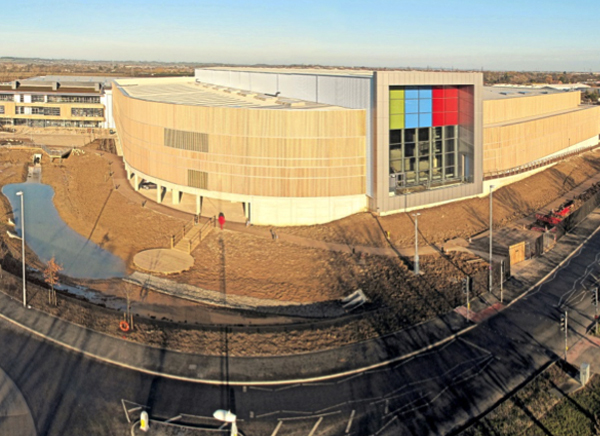 From 2013 Vipond Fire Protection, working closely with Carillion, and Jacob’s were tasked with carrying out all operational works whilst the airport remained open for business. Fire Protection to a new purpose built processing and storage warehouse situated next to the existing Michelin Tyre Plant. 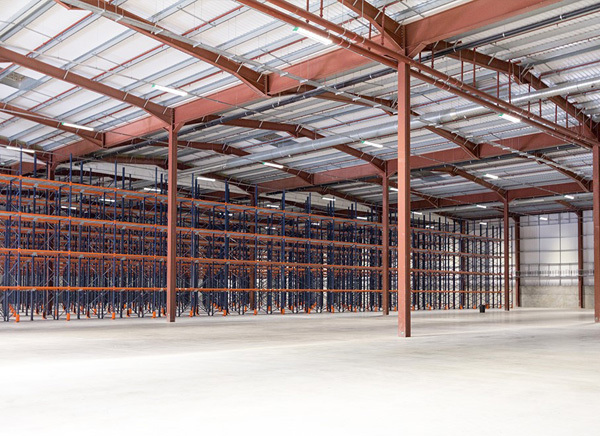 The new warehouse is primarily being used to store tyres manufactured within the adjoin Michelin Plant facility. The design had to be coordinated to ensure the sprinkler plant was positioned with no impact to the processing of the tyre plant production line, while maintaining the required fire sprinkler coverage to the premises. 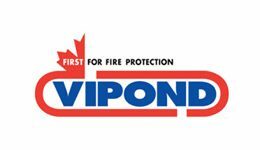 Vipond fire protection were contracted to install a new fire sprinkler system complete with new dedicated water supplies and extend the existing fire hydrant system. 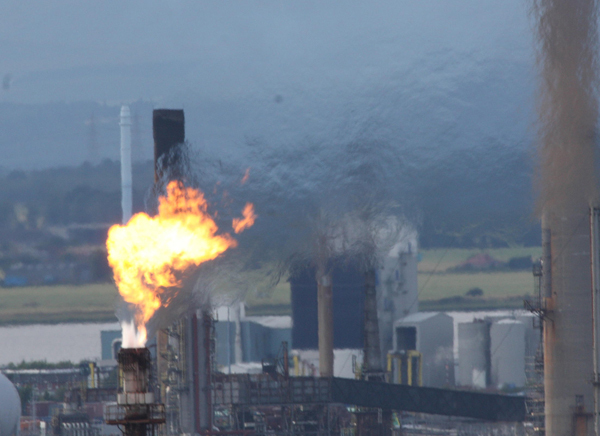 Vipond used 3D modelling to assist with the design of the fire sprinkler system to ensure the installation was installed and made operational with no impact to the processing and production of the tyre plant. Fire Protection to an existing 190,000 sq ft storage facility which is being retrofitted to house a fast growing leading provider of dress and formalwear. 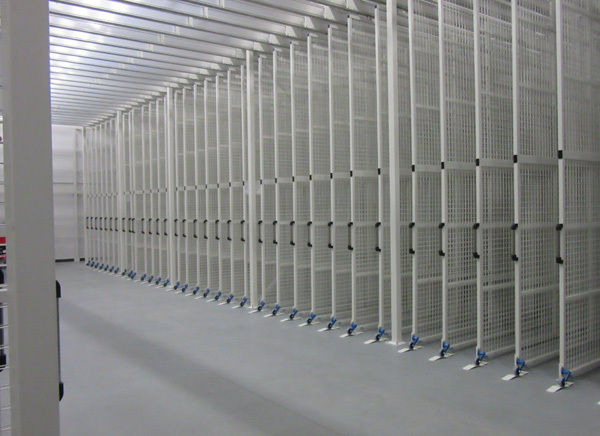 The facility comprises of a mezzanine storage area and a three storey hanging garment structure which is fully automated. A fire sprinkler system also to be installed within a two storey office area, along with a dry-riser system to the fire escape stairways. The design of the fire sprinkler system had to be fully coordinated around the new mechanical/ electrical plant and equipment, particularly the automated garment conveyor line to ensure no impact to the processing and production. Vipond fire protection were contracted to install a new fire sprinkler system complete with new dedicated water supplies consisting of a full capacity galvanised cylindrical tank, and twin diesel sprinkler pumps. With a primary installation programme window of four months, Vipond completed the project within the agreed time frame. Vipond used 3D modelling to assist with the design of the fire sprinkler system to ensure the installation was installed and made operational with no impact to the processing and production to the automated garment conveyors. All aspects of the works was completed by Vipond from; Design / procurement / fabrication / installation / testing/ commissioning / demonstration / hand-over and final documentation. The Abertillery School project involved a new build school to replace 2 ageing schools which it was deemed it was uneconomic to repair/ maintain. The new school was located over ground and first floor levels which were angled to generally follow the slope of the hill side. The building was constructed using a steel frame enclosed by traditional brick/block construction with flat roof over throughout. The sprinkler system is required by Technical Bulletin 221: 2013: 1 and BS EN 12845 2015 to be a ‘wet’ sprinkler system – which means the pipework is charged with water at all times. This is to provide the fastest possible water discharge response time to give the sprinkler system the best chance of suppressing a fire. 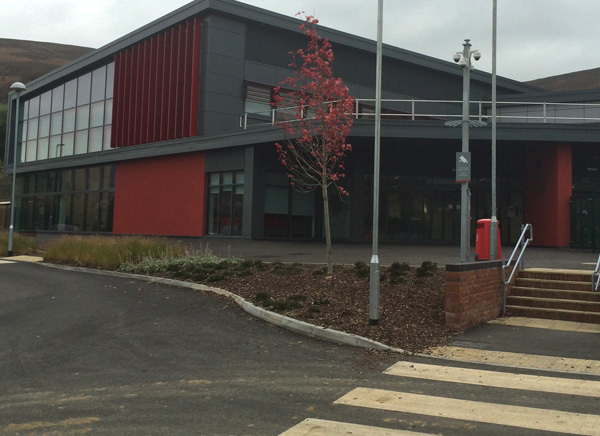 The sprinkler system on this project was designed to meet the Ordinary Hazard Group 1 classification for a school which requires a discharge density of 5mm/min/m2 over a maximum involvement area of 72m2 for a 30 minutes duration. 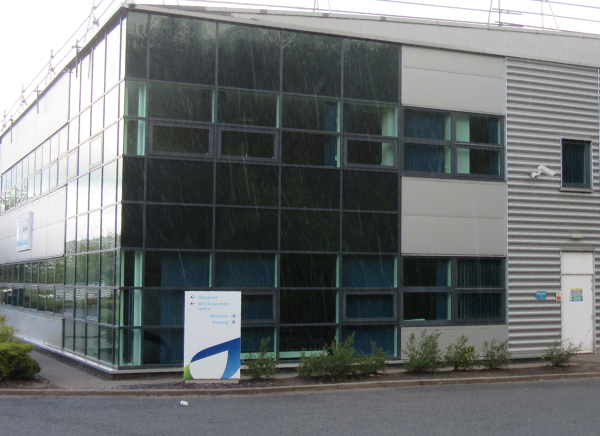 Scottish Gas operates a Training Academy at Hamilton which trains all their engineers. Due to the nature of the practical training there was a high incidence of false alarms with the fire detection system. During training demonstrations the system would be activated causing inconvenient interruptions to the days training, not to mention the unnecessary calling out of the fire and rescue service. There was clearly a need to reduce unwanted alarms. 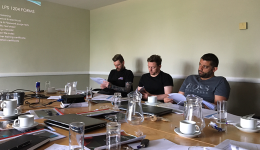 Vipond quickly established that the existing fire detection & alarm system was unable to differentiate between boiler fumes and actual smoke during training demonstrations. As a distributor for fire detection & alarm equipment manufacturer Notifier, Vipond proposed that this high end equipment would provide the key to the problem. The Notifier Smart4 intelligent Multi-Criteria Detector combines four separate sensing elements to act as a single unit. It combines CO sensing to monitor carbon dioxide from smouldering fires, infra-red sensing for measuring ambient light levels and flames, optical smoke detection and heat detection. The installation resolved the false alarm issues at the Training Academy and paved the way for uninterrupted training. In early 2016 Vipond were asked to provide a proposal and were successfully awarded the contract to provide the routine service and maintenance for sprinkler systems, fire alarms and fire extinguishers throughout all of the company’s retail portfolio and its distribution centre in Swan Valley. 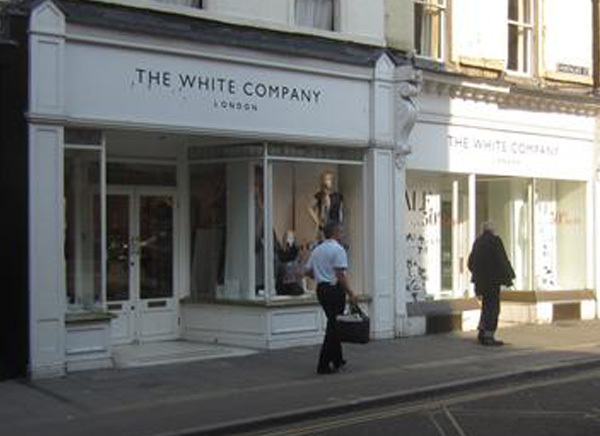 Vipond’s LPS accreditations in fire alarm and sprinkler systems ensure that the equipment throughout the White Companies properties are being serviced to the correct standard, as well as providing nationwide 24 hour, 365 day emergency coverage for the clients peace of mind. The Glasgow Subway, opened in 1896 and is the third oldest metro system in the world after London and Budapest. It provides trains for the public every four minutes during peak times, so life safety is a high priority. 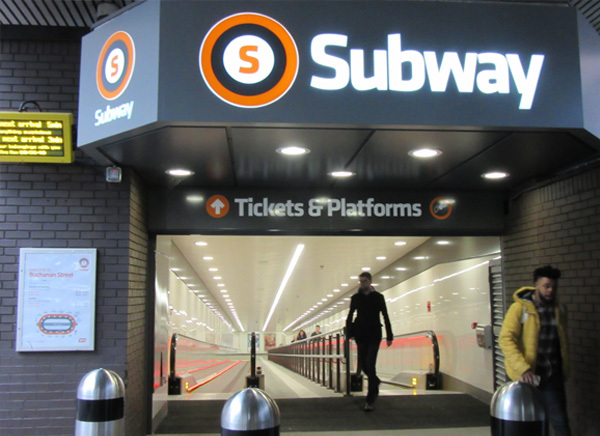 A recent multi-million pound upgrade included refurbishment to the subway stations providing easier access to the stations. 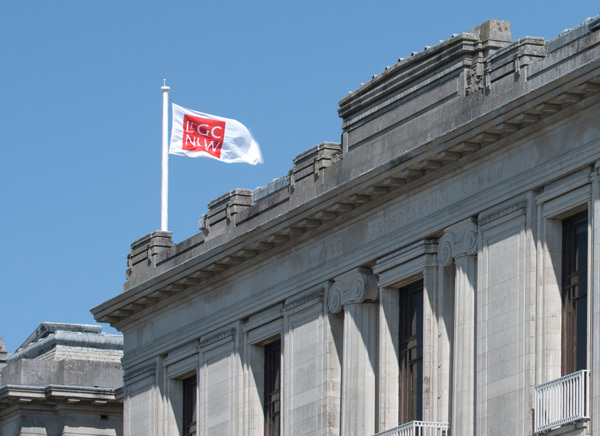 As part of the upgrades a comprehensive evaluation of the fire protection measures were carried out by the Strathclyde Partnership for Transport. The fire strategy that emerged, included improvements to the fire alarm system. Vipond Fire Protection were selected for the job and installed a FireClass analogue addressable fire controller in the ticket office. In addition to managing multistate fire detectors and manual callpoint breakglass units the FireClass panel also provides ancilliary functions including interface units to stop the travellator and escalators.